When CNN starts to refer to Johannesburg as a ‘hipster hangout’, GQ magazine calls it the ‘cool capital of the southern hemisphere’, and the BBC describes how Johannesburg has changed ‘from no-go to gotta-go’, then you know things are changing. The perception of Jo’burg as a crime-ridden and turbulent city best avoided has done an about-face. Only ten years ago the average travel blog suggested, none too subtly, that you use the city of gold merely as a launching pad to head either into the bush, or to the very tip of the country where, it was hoped, the beaches would detract from Johannesburg’s downtown, described as a ‘no-go area of high-rise slums, violent crime and streets filled with trash’. So, what’s happened to Johannesburg? The inner-city has undergone a revival and a new generation of young South Africans are reclaiming the city centre and making it a liveable one. Johannesburg is now the country’s ‘creative capital’ with an inner-city vibe that easily rivals Cape Town. Of course, it’s not all a bed of roses. In between the pockets of regeneration are still large areas of urban decay closer in description to Neil Blomkamp’s District 9 than a European city landscape. But then, this is Africa, and no-one promises otherwise. The gentrification of inner-city Maboneng (‘place of light’) is all down to Jonathan Liebmann, who bought up a pocket of inner-city warehouses and totally transformed them into artists’ studios, bars and creative office spaces – what he envisioned would become an arts hub. He then secured one of South Africa’s best-selling artists, William Kentridge, who signed up for a studio in 2008, as an ‘anchor tenant’. The Goodman Gallery, Nirox Foundation and Goethe Institute followed in his trail. By 2010 the first mixed-use residential project, Main Street Life, launched with an arts hotel on the top floor (rooms designed by local artists) that sold so well, Liebmann could buy three more buildings and add office space, loft apartments and more studio space to his collection. He then added 24-hour security to create a cosmopolitan, vibey and safe area for a diverse community just waiting to happen – the people who hang out here are of mixed race, diverse ages and mixed income; a space in which people live, work and play. Braamfontein’s regeneration is of a slightly different ilk, although the effects are no less impressive. This neighbourhood was once the corporate heart of the city – before business did a run to Sandton and left the suburb to decay – so that by the 90s it was plagued by issues. 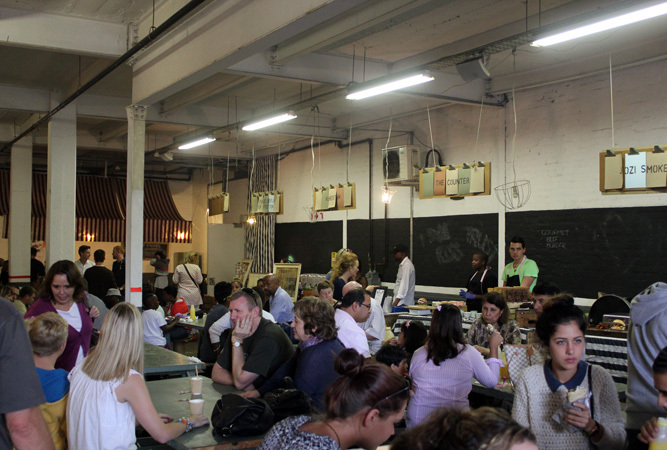 Regeneration started with local government back in 2002, followed by entrepreneurs (Neighbourgoods Market, artisan coffee shops, art galleries, the Richard Branson Centre of Entrepreneurship) and young creatives, particularly after Maboneng began its rise to notoriety (the two suburbs are less than 5 km apart). They were joined by others like South Point (student accommodation) and Play Braamfontein (studios, galleries, offices, restaurant spaces). Now the ‘betterness of Braamfontein’ has gone one better with the Tshimologong Precinct. Johannesburg’s version of ‘Silicon Valley’ it is a technology hub, housed in the former disused Therapy nightclub premises that gives Wits students, entrepreneurs, and investors the chance to interact with IBM scientists to develop skills and promote innovation and entrepreneurship. The laboratory built on site by IBM has been described as ‘beyond state-of-the-art’. 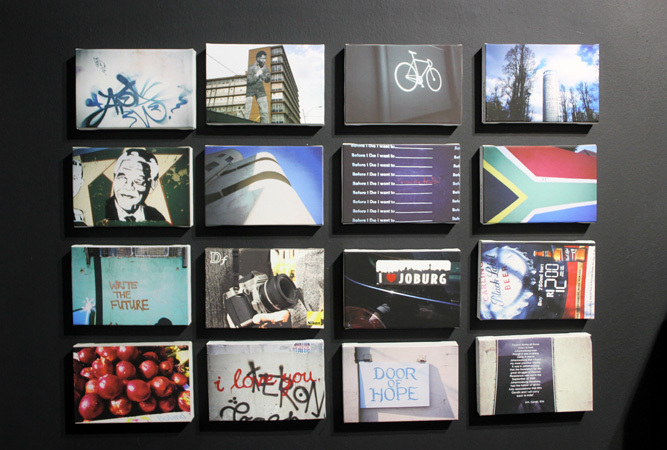 The precincts aim is to turn Braamfontein into the new technological heart of South Africa. The effects of all of this development for visitors, is a vibrant, colourful neighbourhood with clubs and restaurants. Newtown, once the nucleus of protest theatre, is today touted as a cultural precinct. It’s trendy, filled with coffee shops, restaurants, art galleries, clubs and at its heart remains the Market Theatre – one of the most famous theatres in the country, soon to undergo upgrades. Commercial interests have also increased its attraction with ventures like the Newtown Junction mall and Work Shop New Town – a design and fashion emporium with over 100 local design, fashion and lifestyle brands. During apartheid Melville was one of the few places you could socialise interracially and it’s always been a slightly hip, subversive neighbourhood, the home of liberals and academics with a good dose of university students and media professionals. 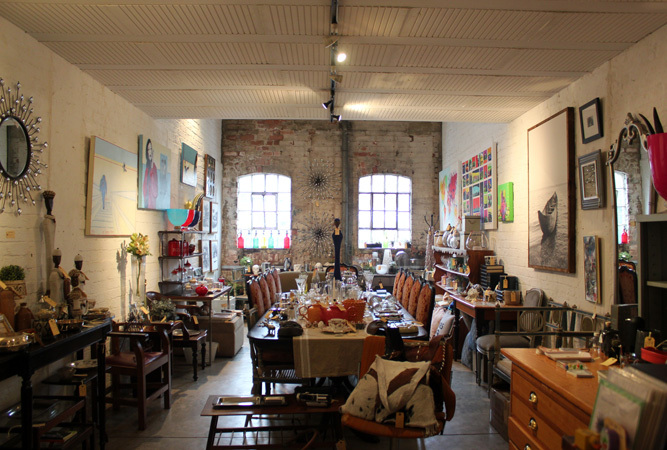 Whilst the nightlife scene of Braamies and Maboneng may seem to supercede Melville this bohemian enclave still has pulling power, not least for its antique shops, independent boutiques (no chain stores here! ), shops, and its good food. In similar style to the Maboneng Precinct over on Fox and Kruger Streets, 1 Fox Precinct lies in a couple of old warehouses in the city’s oldest part of town, the heart of Johannesburg – Ferreirasdorp – the M1 roaring overhead. These warehouses and workshops have been here since the year dot (certainly the late 1800s when they served as the workshops for an engineering company, and then later as storage and maintenance sheds for the city’s trams and buses). The corrugated iron, brick and wood buildings that stood abandoned for years were bought up and remodelled to create a huge, versatile events venue, within which are subdivisions that cater for a market, a brewery, a couple of bars, a distillery and the odd restaurant. 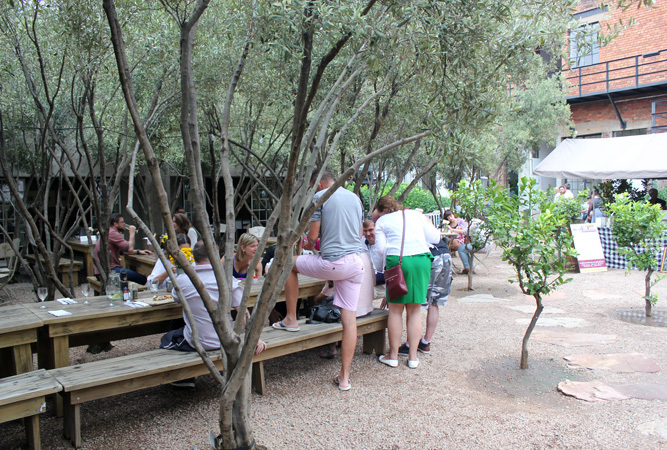 Jo’burgers are just discovering the cool factor of the hangout area, particularly the garden area alongside the brewery.